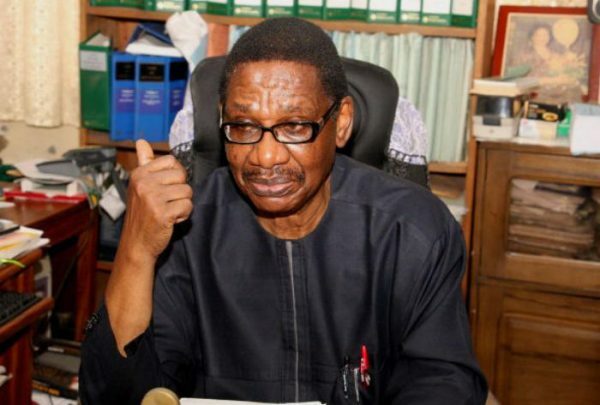 Prof. Itse Sagay (SAN), Chairman of the Presidential Advisory Committee Against Corruption (PACAC); has advised Atiku Abubakar to accept defeat in last Saturday’s presidential election and refrain from challenging the outcome in court. Sagay said aside losing the elections, Atiku who is the presidential candidate of the Peoples Democratic Party (PDP), would also lose in court because the election complied substantially with the rules of elections as noted by both local and foreign observers. He urged him to maintain his dignity and earn the respect of Nigerians and the world by congratulating Buhari just as former President Goodluck Jonathan did in 2015. Sagay said: “My advice to Atiku is that it’s not advisable for him to go to court for political and moral reasons. “He should be mature politically and accept defeat with dignity. “By rejecting the result, what he is doing is to drag himself on the ground and lose all the little dignity that he has left. At the end of the day, he will be a double loser. “On the legal side, you can only upset a declaration of victory of an election if you can establish that the process of the election did not comply substantially with the rules of the election. “So, if there is failure to comply in some areas, it has no effect on the validity of the election. It has to be substantial. “There is no way anybody can say that this election does not comply substantially in electoral rules. All the various observers and monitors have written their reports and they have said it was a well organised election with hitches here and there. “What this means is that they are saying it substantially complies with the rules. So, legally, Atiku will fail, morally he will fail, and so, it’s not just good for him. “Today, the only claim to fame that Jonathan has was in accepting defeat and phoning President Buhari. “After we have blamed him for his misgovernance and all the poor things he did, then we remember that aspect and then we respect him and the world also respects him for it. and I'm looking for something unique. P.S My apologies for getting off-topic but I had to ask! I'm planning to start my own blog in the near future but I'm having a hard time deciding between BlogEngine/Wordpress/B2evolution and Drupal.